There are three different media that I would like to suggest you view. Each have influenced me over the past, say, month and perhaps you may find some enjoyment out of them too. The first is a movie called “Waking Life”, directed by Richard Linklater and suggested by both of my roommates. It’s a discussion of philosophy in a life-action/animation hybrid along the lines of “A Scanner Darkly”, but with actual scientists and philosophers discussing their ideas with the main character. Dreams are discussed too, which I have been particularly interested in because of their detail in my recent stint of what can only be called insomnia. You can find it and watch it for free on Google video (unfortunately, Netflix isn’t streaming the movie on their site yet). The second is a song that I’ve played quite a bit for myself and from a genre of music I so often scoffed as a kid. It’s Glen Campbell singing one of his hits “Gentle On My Mind”. The song doesn’t have much of a chorus, just reminiscent memories of a past lover. Enjoy the imagery. And this song can, for the most part, make me forgive Campbell for “Rhinestone Cowboy”. The last is an image that Hiller Goodspeed (http://skieselectric.tumblr.com/ or http://hillergoodspeed.com/) drew for this website, meaning for it be an emblem of sorts. I call it “Sisyphus On His Day Off”. 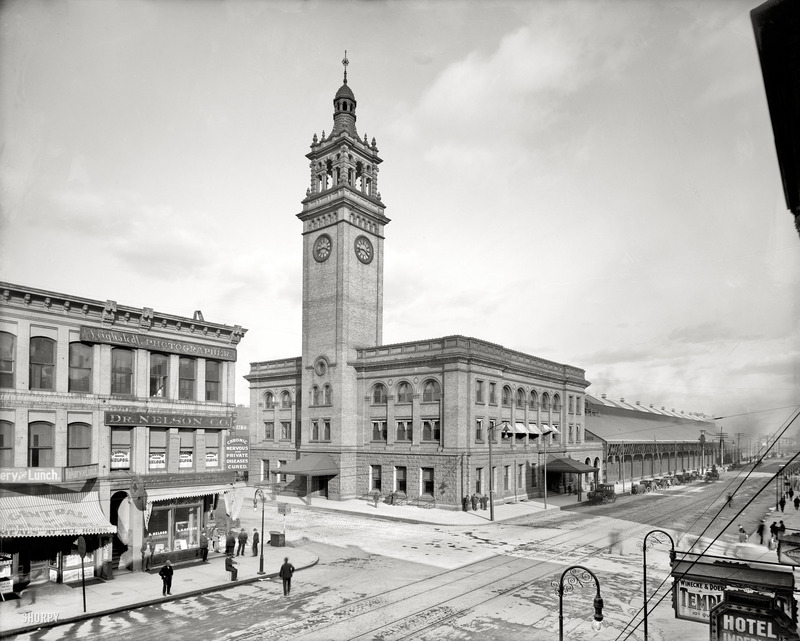 And oh what the heck, here is one more: its a photograph of Chicago, Milwaukee, and St. Paul railway station in Minneapolis, 1908. I like the photograph, but I think I like the name more. It is called “Nervous and Private Diseases: 1908”. Only the modern city comes to mind when I hear that. You should check out Crooked Fingers’ cover of ‘Gentle On My Mind’…great version of an incredible song! …and wait, you didn’t snag my copy of ‘Waking LIfe’ did you, schmuck?